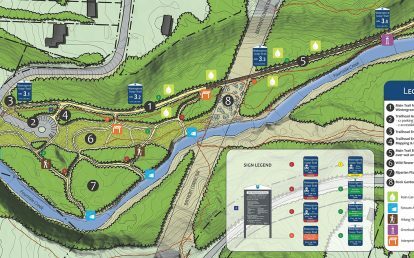 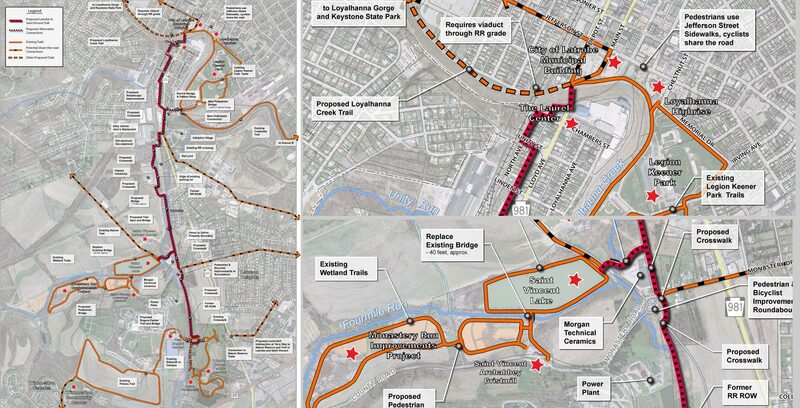 The City of Latrobe and Saint Vincent College recognized the opportunity to connect the City with the College, Township residents, recreation and cultural amenities, and the greater regional trail system in Westmoreland County. 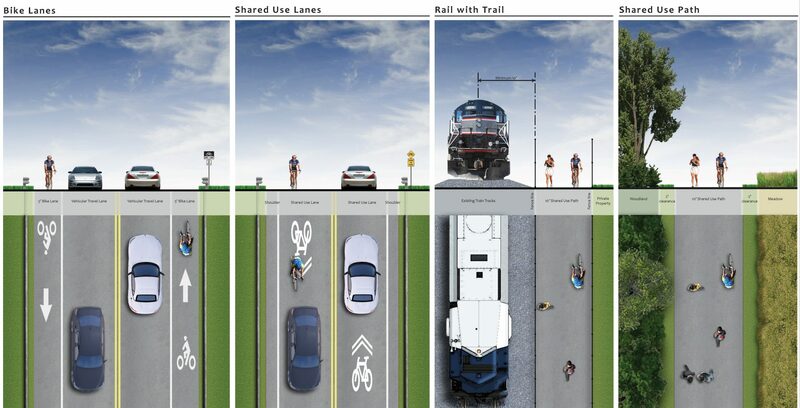 Pashek + MTR was first hired to complete a study to determine the feasibility of alternative routes and was subsequently brought on to design Phase I in more detail. 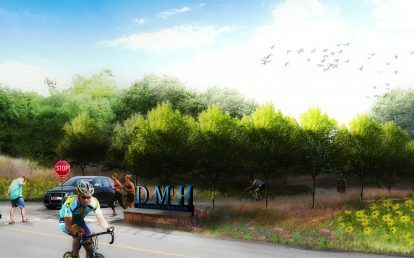 The feasibility study identified two viable options, one following a former rail corridor and a second utilizing the existing roadway infrastructure. 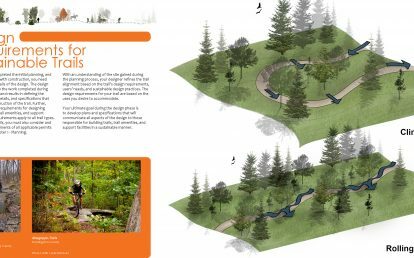 Our analysis and input from the project stakeholders concluded that a combination of both options was the most viable today. 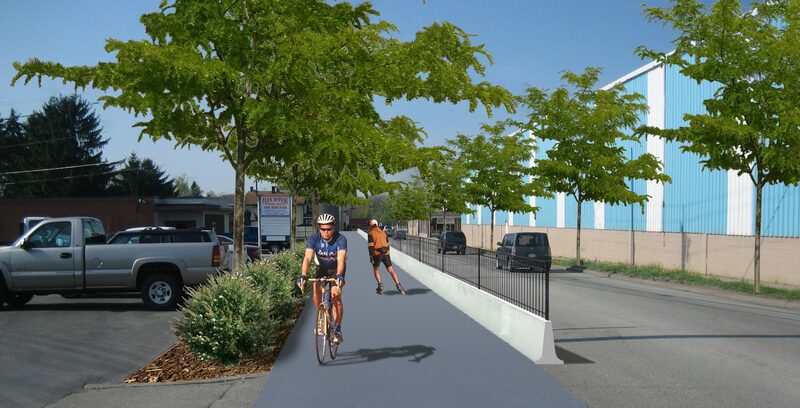 The short-term option proposes active transportation improvements to the existing roadway infrastructure to increase the suitability and level of comfort for residents, visitors and students to cycle between the various destinations along the corridor. 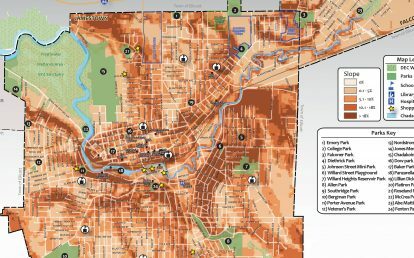 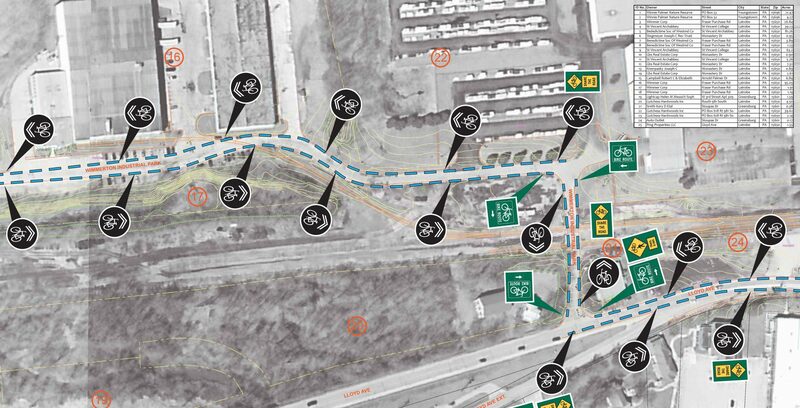 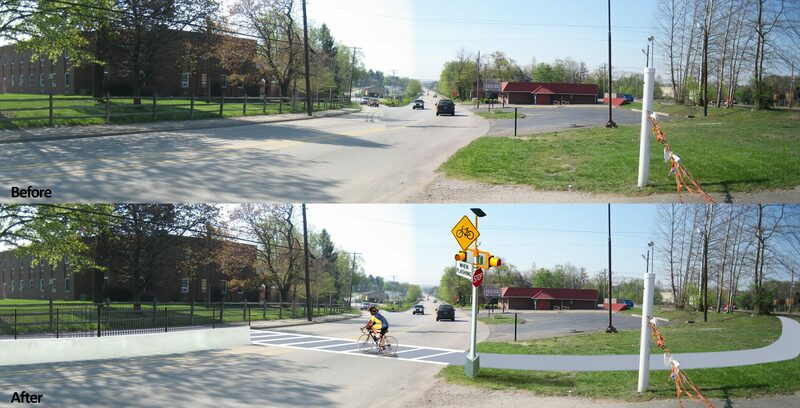 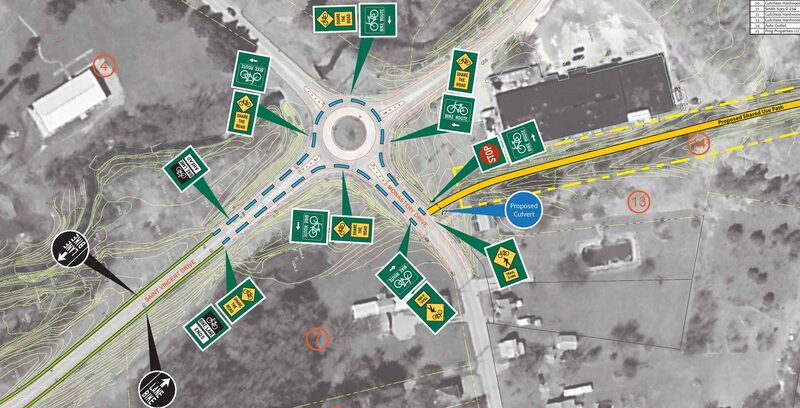 These improvements include shared road markers, bike lanes, shared use trail, rail with trail, and associated signage.